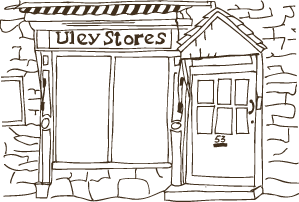 The Uley village shop and Post Office is owned and run by Uley residents. Situated at the heart of the village, we offer day-to-day essentials, locally sourced and grown produce, and a sociable hub for local information. Help us create the next Uley bag!